welcome to use MYIR's Xilinx products! We also offer custom design services, welcome your inquiry! 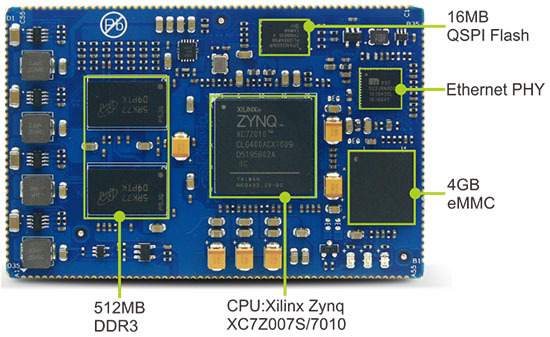 The MYD-Y7Z010/007S development board is powered by Xilinx XC7Z007S (Zynq-7007S) or XC7Z010 ( Zynq-7010) SoC device. It is a cost-effective and high-performance solution for industrial application such as Industrial Ethernet, machine vision, PLC/HMI and etc. The board is ready to run Linux and supports industrial operating temperature ranging from -40 to +85 Celsius. The MYD-Y7Z010/007S development board employs the MYC-Y7Z010/007S as the controller board by populating the CPU Module on its base board through 1.27mm pitch 180-pin stamp-hole (Castellated-Hole) interface, allowing users to take the advantages of numerous extended out signals. Core components on CPU Module including Z-7010 or Z-7007S processor, 512MB DDR3 SDRAM, 4GB eMMC, 16MB QSPI Flash, Gigabit Ethernet PHY and external watchdog. 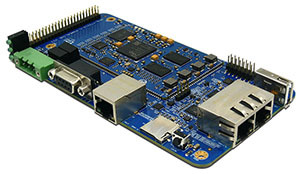 Additionally, the MYD-Y7Z010/007S development board takes full features of the Z-7010 or Z-7007S all programmable SoC to create a rich set of peripherals to the base board through headers and connectors including RS232, RS485, USB Host, three Gigabit Ethernet ports, CAN, TF card slot, JTAG as well as one 2.54mm pitch 2 x 25-pin expansion header to let more GPIOs available for further extension. MYIR has designed an IO expansion board MYD-Y7Z010/007S IO Cape to connect to the MYD-Y7Z010/007S development board via the 2.54mm pitch 2 x 25-pin expansion header to expand and enhances its functionality with added peripherals and signals including HDMI, Camera, LCD and Pmods. The 4.3- and 7-inch LCD Modules as well as MY-CAM011B camera module from MYIR can be supported through the MYD-Y7Z010/007S IO Cape. Optional USB WiFi and Camera modules are also provided. 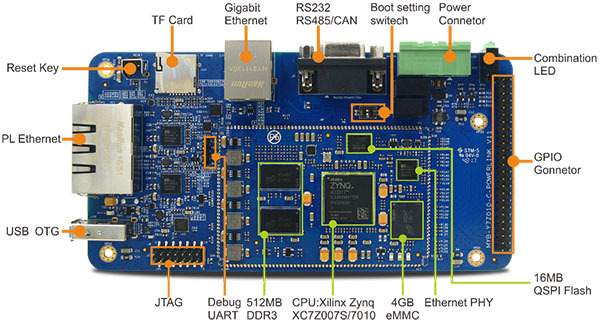 With all these features, the MYD-Y7Z010/007S board is not only great for integration into custom design, but also can be used as a stand-alone development board for evaluating solutions based on Xilinx Zynq-7000. 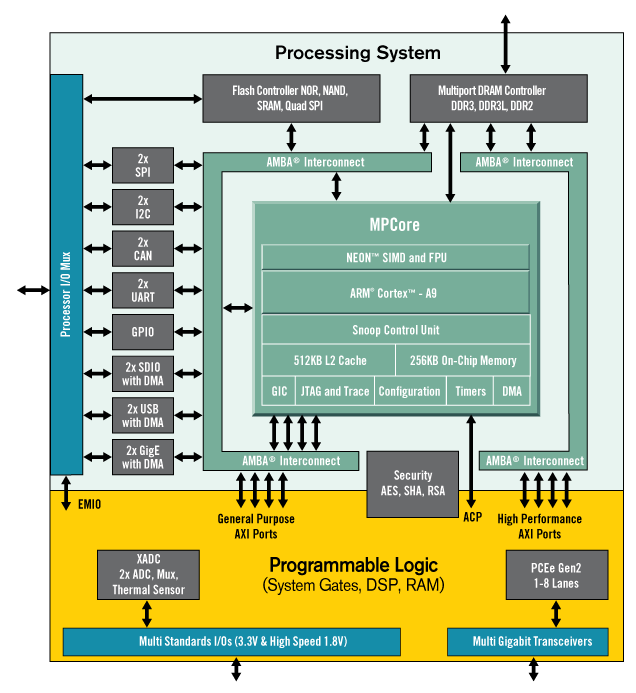 The Zynq®-7000 All Programmable SoC (AP SoC) family integrates the software programmability of an ARM®- based processor with the hardware programmability of an FPGA, enabling key analytics and hardware acceleration while integrating CPU, DSP, ASSP, and mixed signal functionality on a single device. 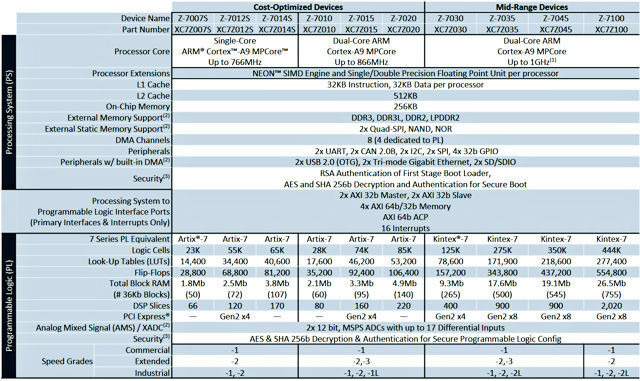 Consisting of single-core Zynq-7000S and dual-core Zynq-7000 devices, the Zynq-7000 family is the best price to performanceper-watt, fully scalable SoC platform for your unique application requirements. 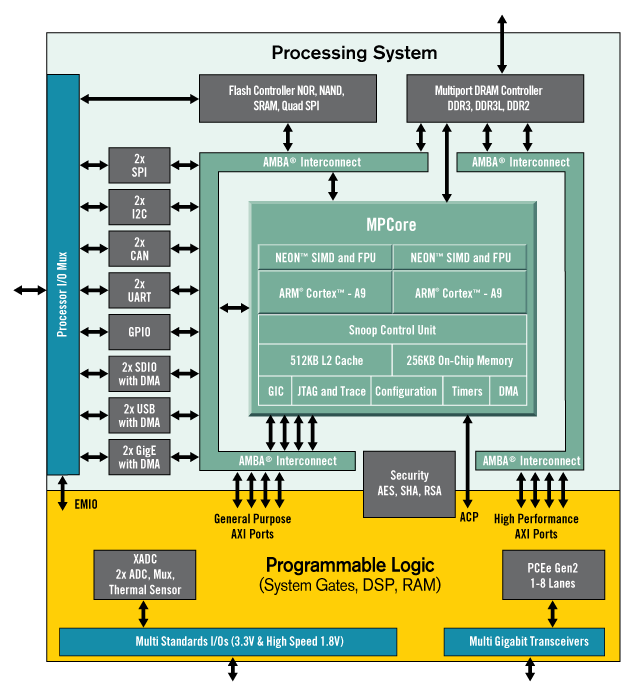 Zynq-7000S devices feature a single-core ARM Cortex™-A9 processor mated with 28nm Artix®-7 based programmable logic, representing the lowest cost entry point to the scalable Zynq-7000 platform. It includes Zynq Z-7007S, Z-7012S and Z-7014S which target smaller embedded designs. Available with 6.25Gb/s transceivers and outfitted with commonly used hardened peripherals, the Zynq-7000S delivers cost-optimized system integration ideal for industrial IoT applications such as motor control and embedded vision. Zynq-7000 devices are equipped with dual-core ARM Cortex-A9 processors integrated with 28nm Artix-7 or Kintex®-7 based programmable logic for excellent performance-per-watt and maximum design flexibility. With up to 6.6M logic cells and offered with transceivers ranging from 6.25Gb/s to 12.5Gb/s, Zynq-7000 devices enable highly differentiated designs for a wide range of embedded applications including multi-camera drivers assistance systems and 4K2K Ultra-HDTV. 1. 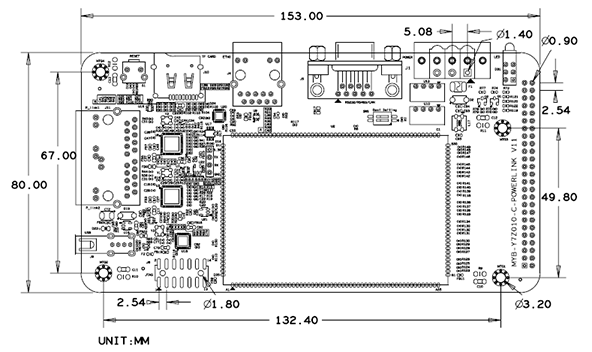 One MYD-Y7Z010/007S Development Board includes one CPU module MYC-Y7Z010/007S soldered on the base board by default. If you need more CPU module, you can order extra ones. 2. We accept custom design based on the MYD-Y7Z010/007S, whether reducing, adding or modifying the existing hardware according to customer’s requirement.